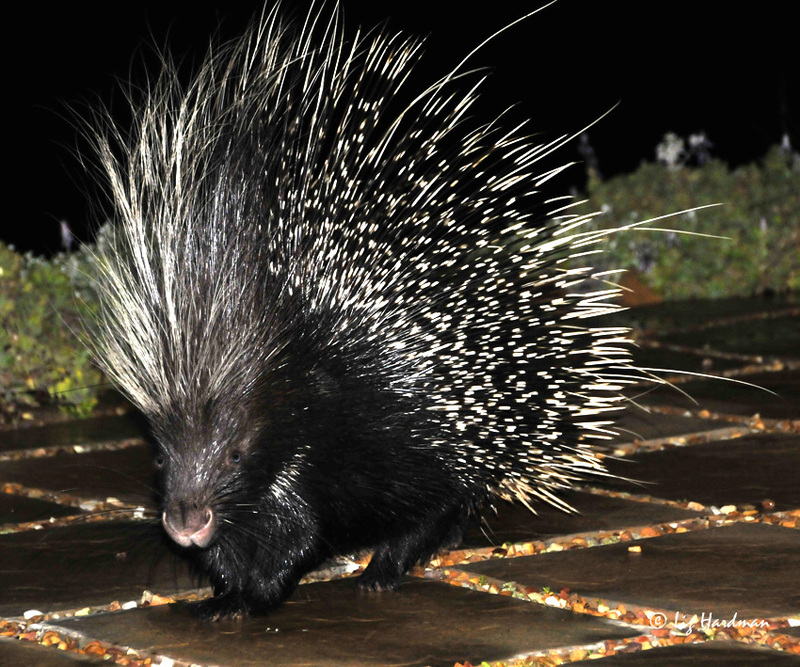 One tends to think of porcupine roaming in the wild but they are quite common here in the neighbourhood, though they not always welcome. For the keen gardener who prizes the display of flowering bulbs they can become pests. Being herbivores they are partial to a diet of juicy geophytes and digging up corms / bulbs is a nightly escapade. Meet the “Porkies”!! Wilf continues the tales of our wild neighbours and this week it’s my favourite of our nocturnal adventurers…. Legend says the porcupine got its scientific name because the first ancient Greek explorer who saw it fell about laughing hysterically. His fellow explorers gave it the family name Hystricidae. Nonsense, of course, the legend is newly invented. The animal was baptised under the system devised by the Swedish botanist Carolus Linnaeus for classifying plants and animals. But that ancient Greek could be forgiven – you are unlikely to bump into any weirder animal in the African bush. 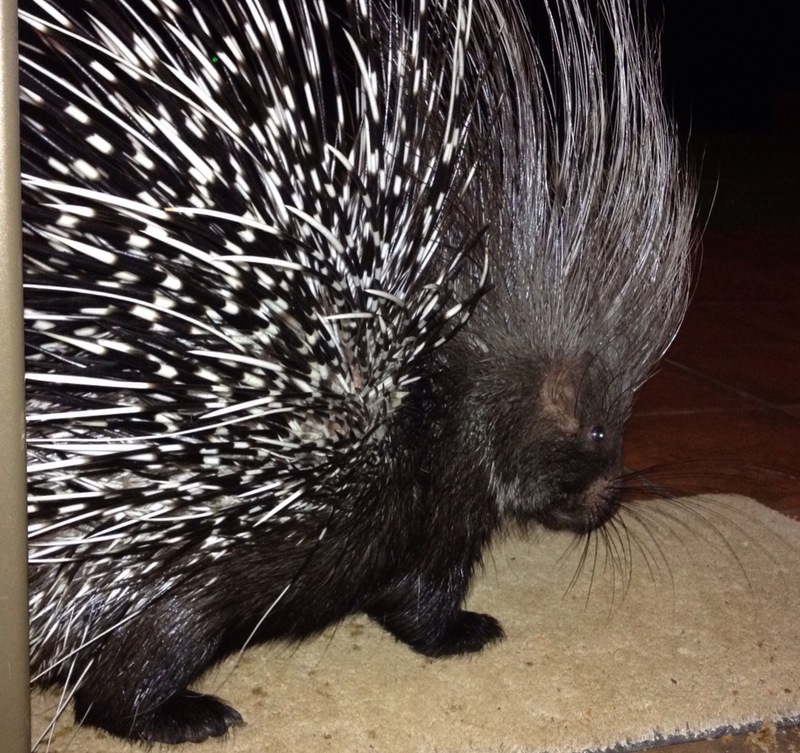 Most striking is its coat of long, flexible spines and short thick quills so sharp and dense it has no way it can scratch the fleas and ticks that must luxuriate in the fur beneath. January: Baboons, females learn to raid when the troop hierachy is toppled. April: Field mice, sharing parsley. 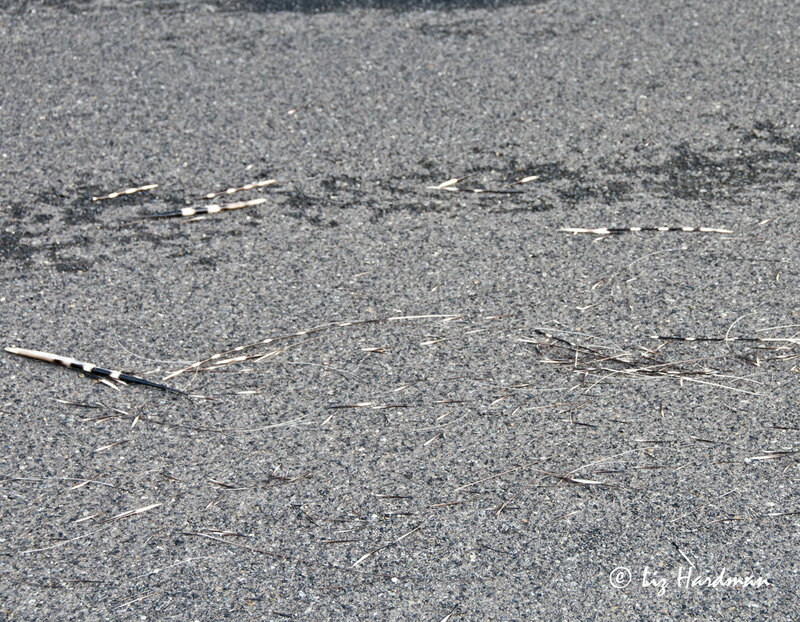 May: Penguins, and off to work they go. June: Take food out of the equation, not the baboons. 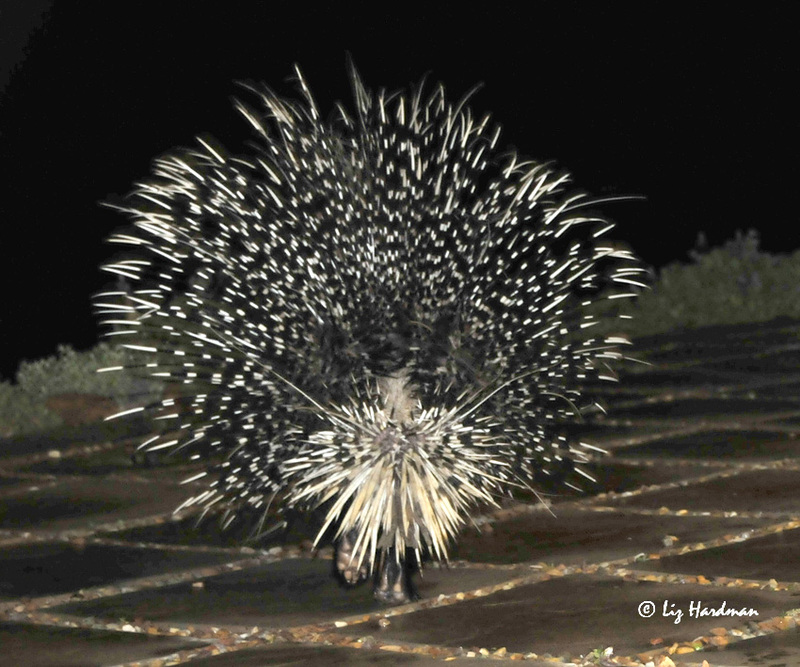 July: Porcupine our nocturnal visitors. September: Pelican petting in St Jame’s Park and wild pelicans preening. November: Dassie nursery, new brood. December: False Bay serene after southeasterly gales. Thanks to Sara and the WordPress team for the inspiring weekly challenge topics posted through the year. It’s been a great way to learn new techniques and see what others create. Of all the challenges, i really enjoyed “Reflections” and Jared Bramlett’s cleverly composed shots. This week’s topic is hard to cull down to twelve pictures, but here on the “Edge” it’s the creatures that count ….. Thank you too to all the readers who have stopped by to read and comment on Nature; it’s wonderful to have a link to so many different parts of the world. May 2013 bring happy encounters, and rich blessings. 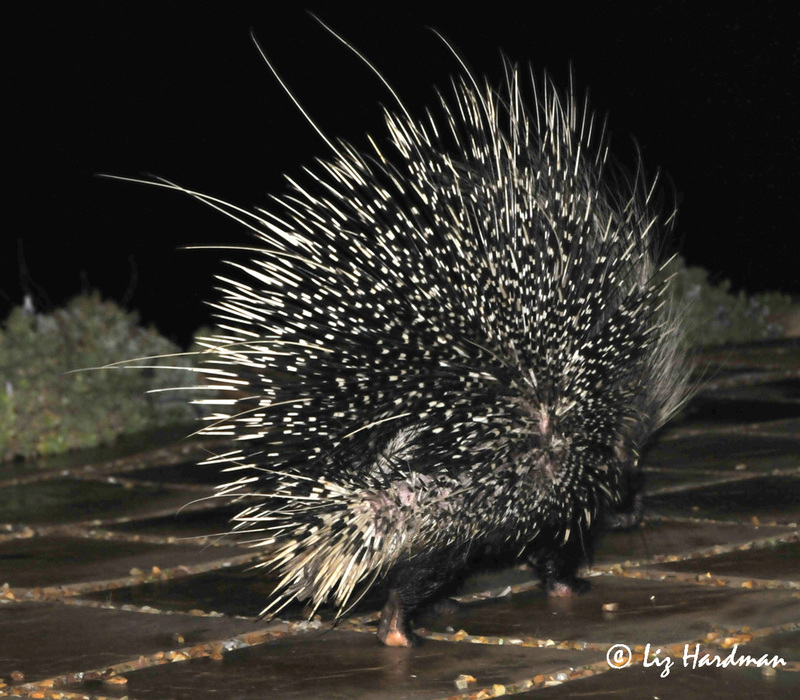 Porcupine becomes road quill statistic. Sad to think that this beautiful creature has become another ‘road kill’ victim of a speeding car. 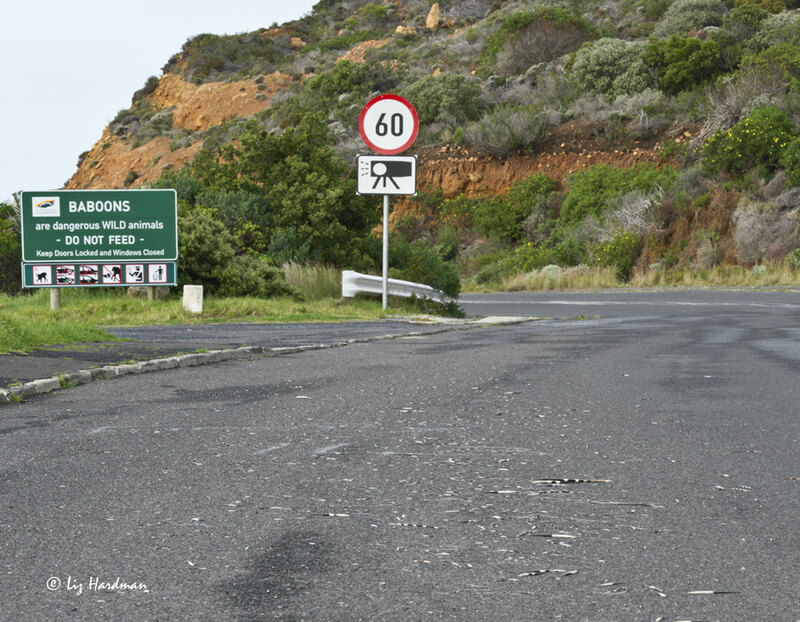 Although the speed limit on this scenic route has been reduced to 60 km/h there are still road hogs who roar along killing as they go…. 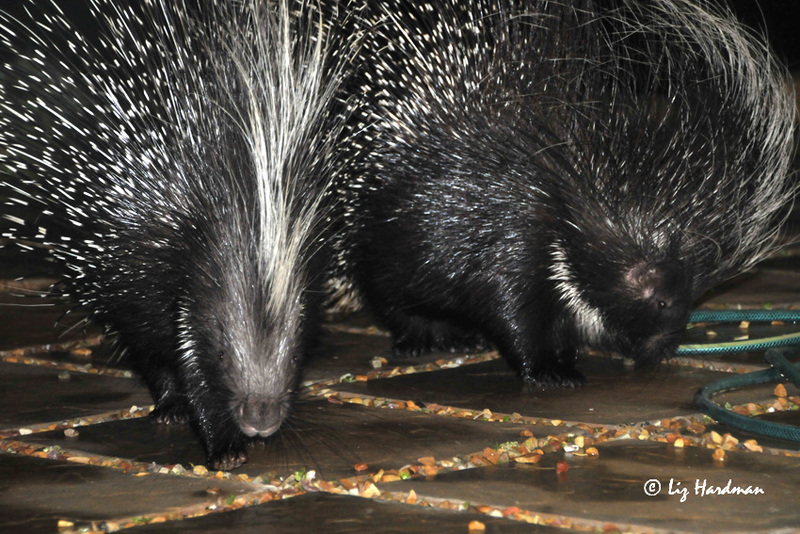 The urban porcupine is often considered a pest due to their destructive habit of digging for bulbs and a prize garden can be wrecked overnight. They belong to the rodent family although in my view they are rather exotic members. One of our Afrikaans poets, (I think it was Breyten Breytenbach) described breaking waves as “porcupines storming a beach” (or words to that effect). The imagery has stuck and I see their fine spindrift spines swept back in curves. 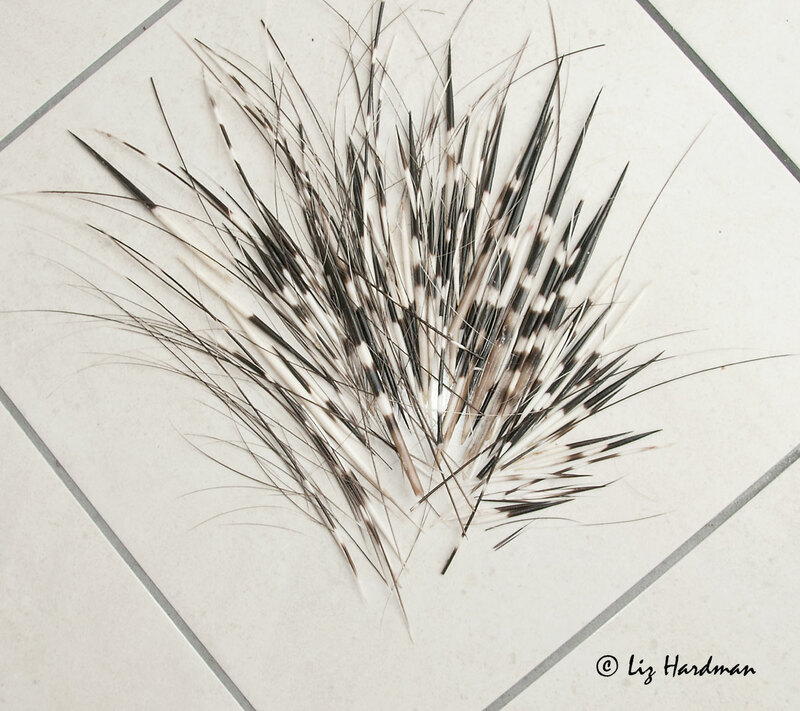 Their arrangement of quills is fascinating, the long body quills graduate to short stumpy stabbing weapons, while the head quills are fine and coiffed back in long strands. They’re a difficult subject to photograph as they are shy and skittish, but this evening the waves are pounding below and the click of my camera was disguised by the heartbeat of the sea.